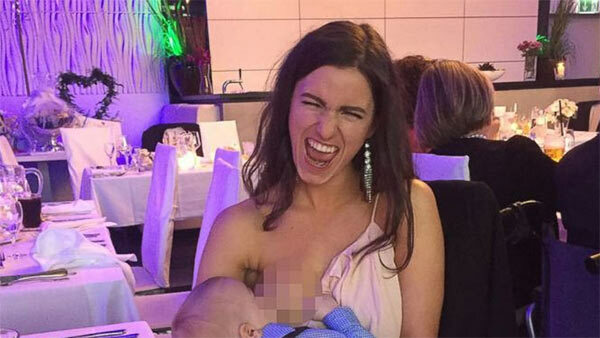 Naomi Jael Covert tells ABC News she had no idea that when she posted a picture of herself breastfeeding her 10-month-old son at her best friend's wedding in Germany that she would spark a heated conversation. "But I'm married to an American and I know it's kind of an issue there," the mother said, referencing her husband, Anthony Covert, who serves in the U.S. Army. When empoweredbirthproject, an Instagram account that posts empowering images of motherhood, shared Covert's photo, it was liked more than 13,000 times but also had over 600 comments, both positive and negative. Get the full story on ABCNews.com.